That's cool, I just open my empty luggage thinking how to fit everything for 7weeks. Have you? Do we get 20Kg allowance ? I received an email for an assessment day and there are documents to bring on that day. 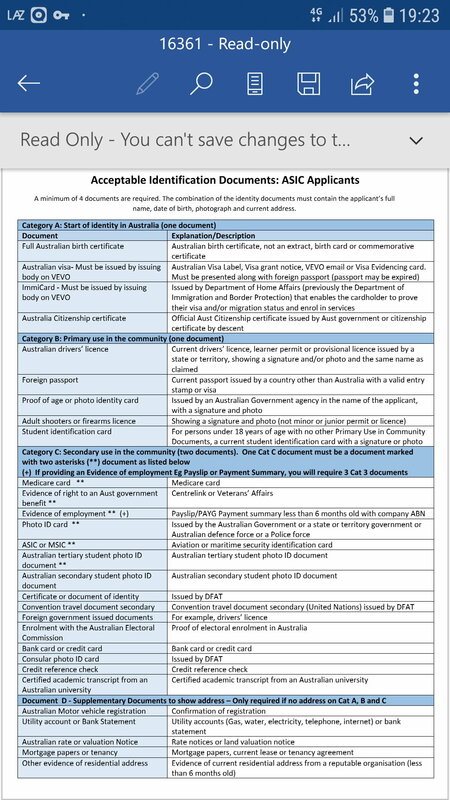 Can anyone help me on the list of the documents from category A-D? There was no file attached to the email. Or where can I email them to ask for the list? Thank you. Hi, can you see the photo attached? After almost 5 months I finally received my golden call a couple of days ago. Yes hang in there everyone who is going through the process. Some may take longer than others for lots of various reasons. Sydney, has anyone heard anything yet? Any news about Sydney? I have heard nothing. Are you referring to the upcoming Sydney Ground School, or your Sydney based application? Last edited by Eve Melbourne; 20th Mar 2019 at 04:22. Yes I am in the April GS. Which base are you two going to be at? I’m ADL . Congrats and see you soon. Last edited by Oblique2018; 20th Mar 2019 at 10:34. Yes, they advertised for Sydney, but I don’t know if anyone has heard anything? Thanks Eve Melbourne for the heads up - much appreciated! I fly to Sydney 4th April, and my training starts on the 5th.